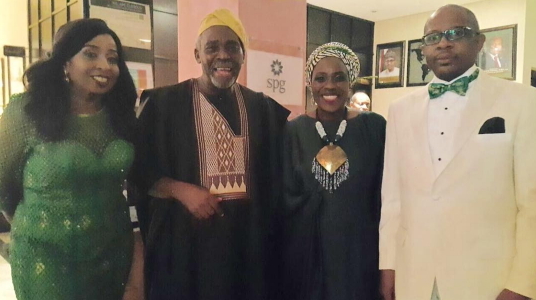 The Nollywood Power Couple were honoured last night at Hotel Presidential in Port Harcourt during this year’s edition of African Movie Academy Awards (AMAA). 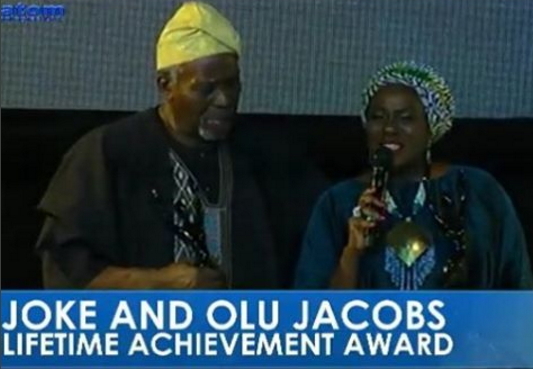 The couple received a Lifetime Achievement Award for contributing positively to the Nigerian Entertainment Industry. 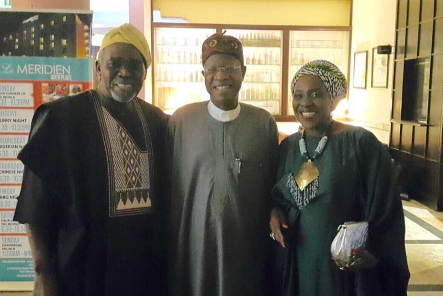 Olu Jacobs and his wife have impacted many lives. They truly deserve it. 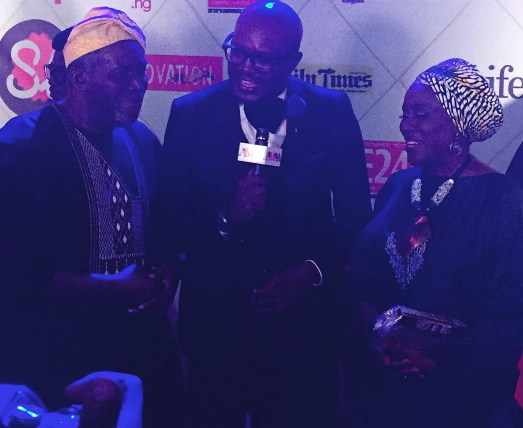 NG, where did you coin that word from: Nollywood Power Couple? It is so appropriate for them! The wisest people on earth, the Igbos, have said in their proverbs: Uzu na-amaghi akpu ogene nee egbe anya n’odu: the blacksmith that doesn’t know how to make a metal gong should look at the tail feathers of a kite. As far as celebrity couples are concerned, this is the best specimen, and every other celebrity should look and learn. Congrats sir and ma’am, I am proud of you.